Police investigation ongoing, after regional council members and Arutz Sheva reporter were violently attacked in Hevron hills. Police arrested an Arab youth on suspicions that he attacked members of the Har Hevron Regional Council and Arutz Sheva reporter Eliran Aharon. They were attacked by a group of Arabs as they toured the Hevron hills, during which they documented illegal Arab building in the region. Following a complaint filed against the attackers, police opened an investigation which led to the arrest of one of the Arabs. The investigation is ongoing. 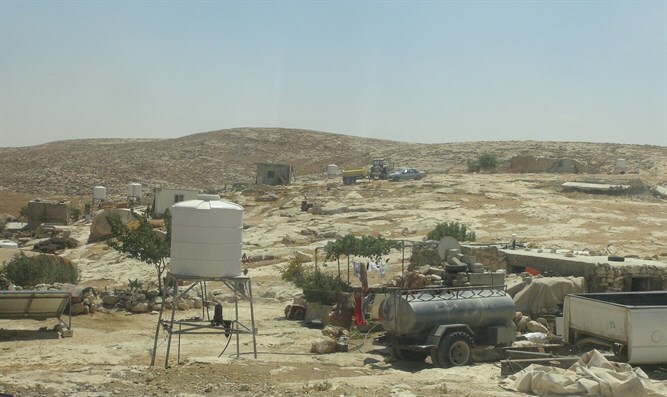 “Our expectation from the Civil Administration is that it will act in the same determined fashion [it does against Jews] and prevent the establishment of another illegal Arab outpost on state land from where it will be very hard to evict squatters even with the help of the courts,” Damari emphasized.